After our 2016 run against Debbie Wasserman Schultz and her corrupt political machine, a number of election integrity experts expressed serious concerns about the official results. 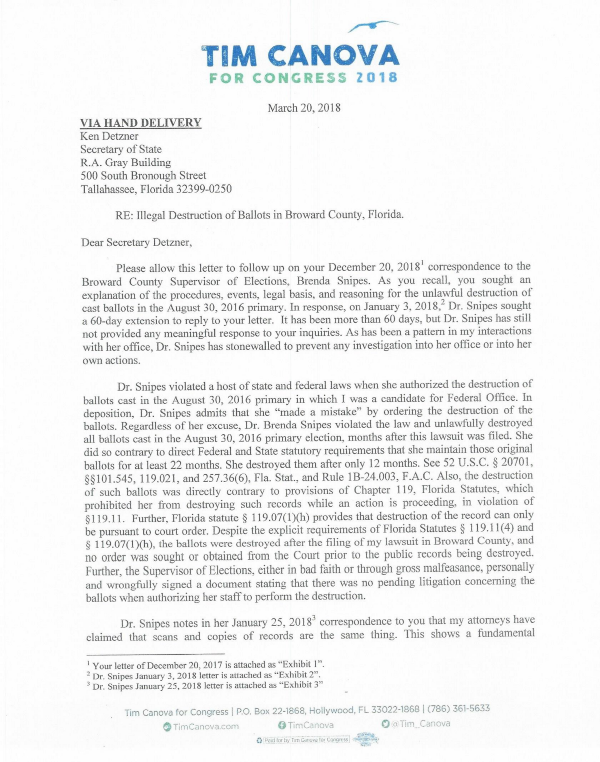 Rather than ignoring their research, I decided to try to verify the vote by inspecting the ballots under Florida’s public records law. We must not let this scandal involving Debbie Wasserman Schultz’s own reelection be swept under the rug. Please click here to help us by donating what you can. I have invested thousands of dollars of my own money to seeing this lawsuit through. We need your help now more than ever. With your support, we will press the case forward and expose the full extend of this wrongdoing. We will not be silent or complicit in the frauds and riggings of our elections. This has not been easy. 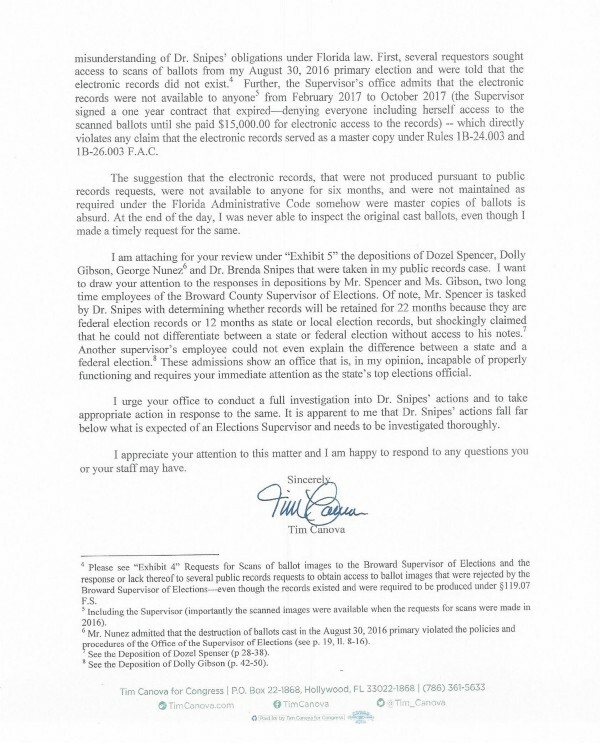 We have taken a lot of heat from the establishment and we have had to divert significant campaign resources to our lawsuit and inspection efforts. Meanwhile, Wasserman Schultz has quietly been raising hundreds of thousands of dollars from corporate interests. That’s why I need your help now. Please click here to chip in whatever you can to help us fight back and remove Wasserman Schultz from office! We will continue to walk the walk when it comes to demanding a real democracy. When we see election corruption, we will demand election integrity! With your help, we will not back down. Click here to sign up and join our people powered campaign to elect a true Progressive to Congress! 2. I am making this contribution with my own funds and not with corporate or business funds. 5. I am a U.S. citizen or lawfully admitted permanent resident (i.e., green card holder). Please visit fec.gov for more information on these rules.